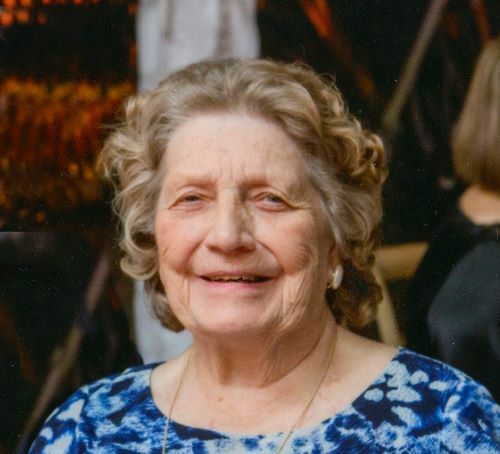 Josephine Ann Little, cherished and loving wife, mother, grandmother, sister, aunt and friend, died peacefully, surrounded by her family, at her home in Rye on March 20, 2019. She was 87. Born on May 30, 1931 in New York City, she was the daughter of Frank and Vera Stern. She was raised on the Upper East Side of Manhattan where she attended PS. 158 and PS. 96. While a student at Julia Richman High School, she developed a true passion and love of mathematics. She continued her education at Katherine Gibbs Business School in Manhattan, where she received a degree in Business and Administrative Skills. She began her career at the Treasury Department of the National Board of Missions of the Presbyterian Church. It was at the Madison Avenue Presbyterian Church in Manhattan that she met and married James Little. husband of 66 years, James (Jim) B. Little. Upon moving to Rye in 1961 to raise their family, the Littles joined Rye Presbyterian Church. Mrs. Little was dedicated to her community and her church and was an active member of the Midland, Middle School, and Rye High School PTOs, and Rye Babe Ruth League. In the 1960s, Jo and Jim decided to start Jim Little Design Inc., a graphic design studio. Jo was the treasurer of their successful business for over 25 years. Mrs. Little enjoyed the simple pleasures of chatting with friends and family, listening to Frank Sinatra, and cheering for her favorite sports teams. She loved to travel, but only by train, boat, or car. She will be missed and remembered by all who loved her. In addition to her husband of 66 years, Jim Little, she is survived by their three children: Robert (Kathy), Jeffrey (Susan), and Jean Romano (Patrick). She was a devoted grandmother to Natalie (Randy), Juliet, Mallory, Josephine, and Jay Little; Sarah, Charlie and Teddy Little; and Charlotte and Isabel Romano. She was predeceased by her two sisters, Mary and Bertha.